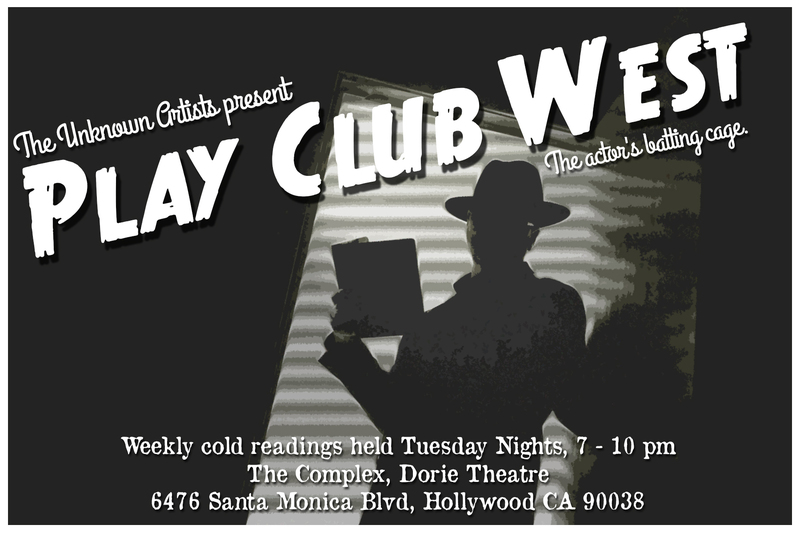 Play Club West is a weekly cold reading group, offered by The Unknown Artists, a theatre company in Los Angeles that has been producing new and established works in the area since 2011. Play Club West fosters a community of actors, writers, and performing artists by sponsoring readings of new and established works. We strive to enhance the performing arts community of Los Angeles by offering weekly cold readings and staged readings. 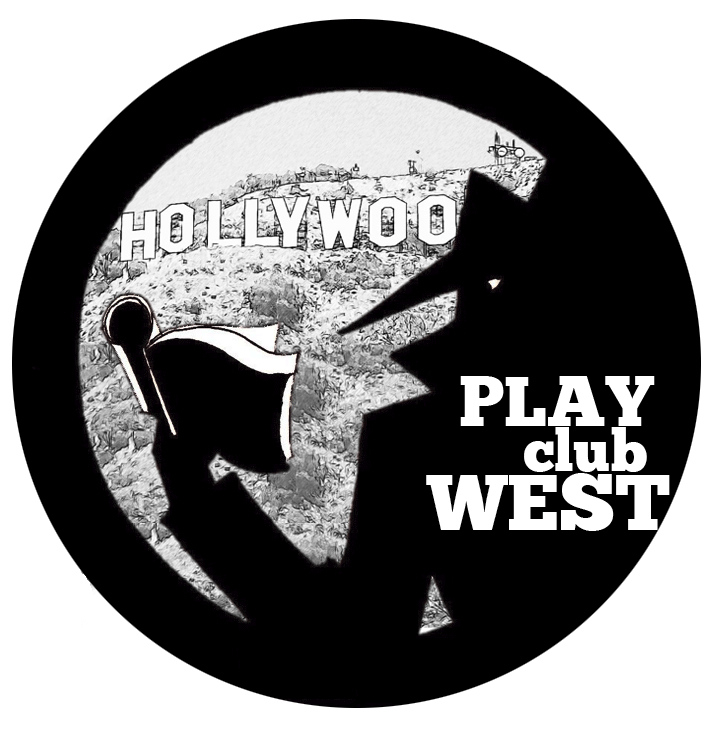 All Play Club West readings are FREE for actors, playwrights, and audience members. COLD READINGS – Plays, Screenplays, TV Episodes, One Acts, and 10 Minute Plays presented every TUESDAY night. STAGED READINGS – Play Club members are offered the opportunity to direct and/or act in staged readings, with limited rehearsal & memorization. 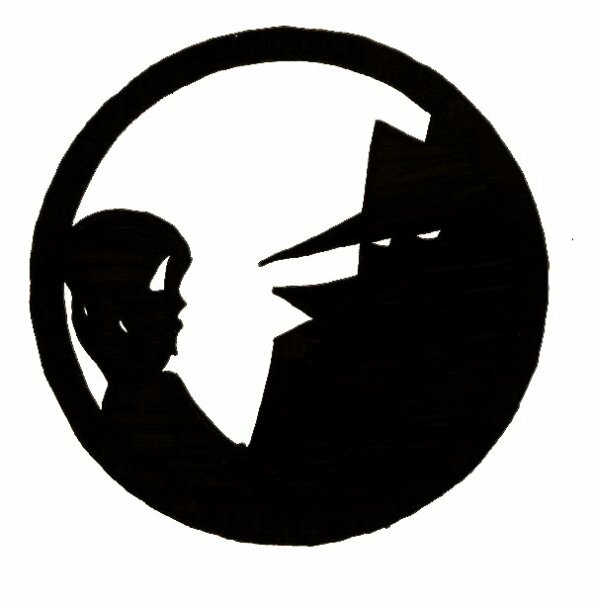 NEW WORKS – Playwrights can submit their material to Play Club West for readings (cold or staged), complete with feedback. We also offer playwrights the opportunity write new material on a theme in our 10 Minute Plays based on a theme in our 100 Minutes New Works Fests. MUSICAL SYMPOSIUMS – Every other month we present a reading of a musical, with little to no rehearsal beforehand. PLAY CLUB CABARET – Our bi-monthly cabaret series, featuring performances on a different theme for each show. ACTORS: Email your headshot and resume to uaplayclubwest@gmail.com. PLAYWRIGHTS: Send a pdf of your script to uaplayclubwest.submit@gmail.com. The Unknown Artists’ mission is to provide opportunities for talented, unknown individuals to thrive on a stage, enabling them to show off their gifts of music, acting, dance, comedy, film and all categories of art. Founded in 2007 by Emily Clark and Pamela Eberhardt, the Unknown Artists search far and wide for an explosive amount of talent that is of a specific, unheard of, untraveled artistry. Where is the best place to park to attend these readimgs? Wherever you can find it! It’s Hollywood, so it’s street parking or bust!